A vital part to any IT organization’s security and wellbeing is the development of excellent Software Asset Management (SAM) procedures. 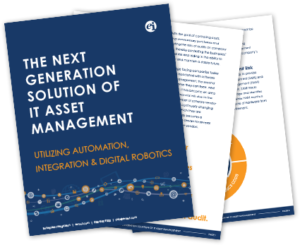 The first step to efficient and powerful SAM practices is to collect data on all hardware and software assets your company has, as well as the unique attributes of each asset. Discovery data will help your SAM team understand what resources are being utilized, which licenses can be harvested, and more. Rather than collect this raw data themselves, many companies invest in an automated discovery tool to retrieve the data needed. Collecting discovery data helps companies make decisions that relate to license management. Software license management (SLM) is a maintenance plan that covers many complex agreement types for software licensing and helps you manage your company’s licenses. SLM uses ongoing monitoring and tracks your company’s license use in order to keep things headed in the right direction. License management is important not just for increasing the best utilization of your company’s resources but also for preventing audit risks. Discovery data is an important part of this process, as it can inform you of what software licenses are being used and where. After your discovery tool collects information, this raw data can then be fed through a normalization engine or manually normalized to transform the data to software license titles. 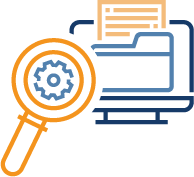 It is extremely important that the resulting discovery data is complete and accurate, and an automated solution is the best way to know that your data is correct. This will ensure that you gain the most value from the software assets your business owns. So what type of discovery data tool is the best? Many focus on culling information from the desktop environment and give a general idea of which software licenses are being used by your employees. However, these types of tools often fail to gather data from data center environments and leaves you with only a partial perspective on actual software license usage. This problem can be seen in Microsoft’s SCCM which is often recommended by SAM vendors as a solution to software license management. While SCCM is a great tool used by many companies to gather discovery data on their IT hardware and software assets, it still does not offer the complete understanding needed to make accurate SAM decisions. The best-case scenario seems to be to employ the use of several discovery tools to pull data so that you have a more complete picture of what’s going on with your software and hardware assets. These tools can approach your assets from multiple perspectives: examining data centers, servers, users’ personal computers or mobile devices, and even usage of cloud-based apps. 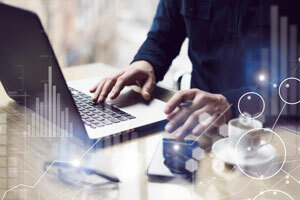 Without a clear and comprehensive understanding of the condition of your software and hardware assets, your company will be unable to make strategic and powerful decisions that best steward your current resources. Add to this, your company will be insufficiently prepared in the case of an audit. 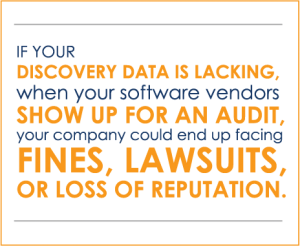 If your discovery data is lacking, when your software vendors show up for an audit, your company could end up facing fines, lawsuits, or loss of reputation. Consequently, though it may seem like a hassle to use multiple operational tools to collect your discovery data, however, without the necessary depth and quality that using multiple tools provides, your discovery data will be useless. If your company wants to protect against the risk of an audit and make more informed decisions, you need to have solid discovery data solution. Enterprise Integration, in our partnership with Eracent, offers automated solutions that help customers track hardware and software assets and provide insight into your company’s information technology supply chain. ITMC DiscoveryTM delivers comprehensive lifecycle management including license allocations and reconciliation, infrastructure monitoring and alerts along with a configurable dashboard to track assets and tasks. This solution also generates data discovery reports allowing your organization to perform continuous internal compliance audits. With Eracent’s offerings combined with Enterprise Integrations’ Service Delivery IntelligenceTM (SDI) companies can discover, map, and visualize all core components and know the health of the total business technology supply chain.